Vault of Light: 11 level nineties! I had quite a busy week last week two new level 90's joined the fold, taking me to 11! Although probably not the 11 you'd think, Ideally I would like a level 90 of each class but for the moment my Monk is 85, Death Knight is 86 and Rogue is 83 (and will forever remain at that level). Instead this week I got my second level 90 Mage and Priest. I now have two level 90 Shamans, Mages and Priests. For the Shammy and Mage I have one Alliance and one Horde but both Priests are Alliance, just on different servers! Both of them leveled though slightly different methods. On my Mage I leveled from 85 to 86 in Jade Forest and then fucked that off in favor of grinding xp on the Timeless Isle as I'd done previously on my Horde Elemental Shaman. With so many level 90's now I'm beyond sick of questing in MoP. Grinding on the Isle was pretty easy as Frost but a little dicey in the beginning with missing so much but it certainly got easier as she leveled up. I leveled via the Spotted Swarmers who come in packs of around 10 and are fairly easy to AoE down, certainly with ranged classes. It was also insanely fast! I've heard about people doing Monkey runs where you run Stormstout Brewery in a group of five, kill all of the monkeys up until the first boss then run out and reset. 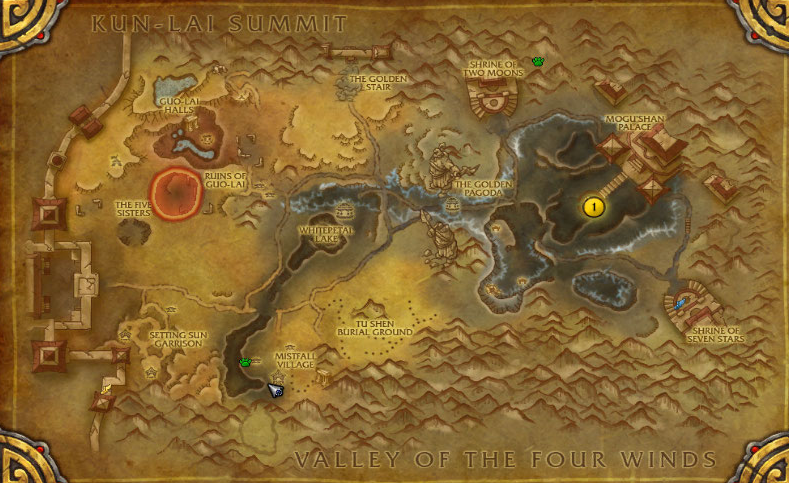 There's also an area in Kun'lai Summit called Dooker Dome which has a gathering of mobs pretty close together. People tend to use the tag method and have a level 90 who isn't in their group kill them. I prefer the Timeless Isle method as I don't have to rely on anyone else! I can grind for twenty minutes and then go do something else, tab out, go AFK or stop to go tag a rare without affecting anyone else. At level 87 I was getting 32k xp per kill with rested. Pretty damn nice if you ask me! My Priest I picked up around 83 after having been abandoned for quite a while so I leveled though instances until 85. I started questing in Jade Forest and when I hit 86 I did Temple of the Jade Serpent and Stormstout Brewery. Since she's on a PvP server I decided against Timeless Isle leveling on her, I can't imagine people taking too kindly to a level 86 free kill wandering around so I opted for pet battles instead. Something I've never done before. I parked her in a small area in Vale of Eternal Blossoms which has a little spot of land with around 5 pets that respawn really fast. The fights often consist of two Aquatic and one Flying so I used a Flying pet and a Magic pet along with whatever pet I was currently leveling. There is an inn right next to the spot and Aki the Chosen is also a stones throw away! I'd level though pet battles until each new level when new dungeons would pop up in my group finder which I'd do once to complete the quests then return to my battling. At 89 I quested a little in Dread Wastes just to speed things up a little. What's your preferred method of leveling? Congrats! Now, on to 22! Hah! My servers aren't connected yet! As for leveling I did all 11 90s almost exclusively through questing. I got very good at questing and after a while it was all auto-pilot. You can pay 10 or 15 bucks to do a character recustomization to get a new face. Also you could do a race change. Wow!!! Congrats!!! I tend to level using a mish-mash of instances, questing, proffs and pet battles. 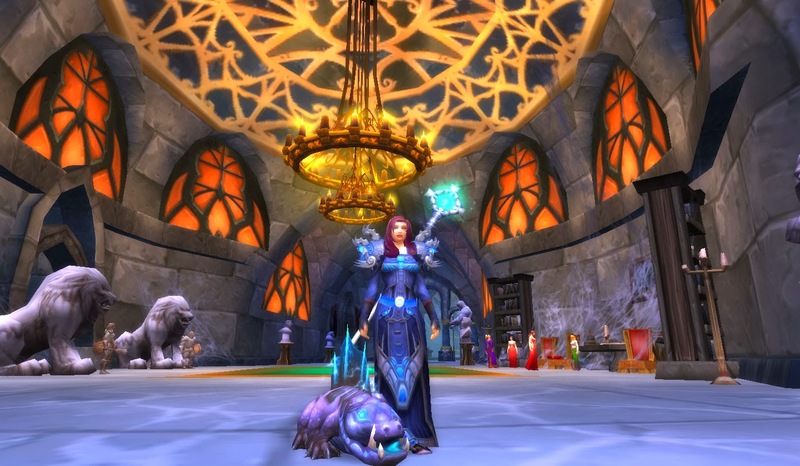 A guildie has been doing a lot of research and experimenting with leveling recently. He's leveled from 85-90 via both pet battles only and timeless isle farming only. When my druid hits 85 (she's currently 84) I will be trying one of these methods out.